Book your seat now for Tom’s Trial Testimony, Take Two. This new trial would involve a new jury i’m assuming. It will be hard to find a jury that is not bias because of so many football fans. Also, I know when dealing with cases like these there are sometimes extra jury members that may or may not be picked for the final judgment of the case. Is there anyway a lawyer can use peremptory challenges at this point? Or is this not necessary because an entirely new trial has been ordered? Also, the doctors complained of having to show up for a new trial due to scheduling conflicts of the football season. 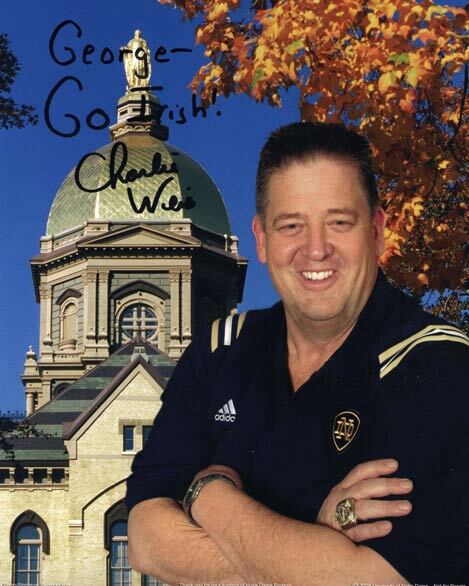 If they are unable to show up to this new trial is Charlie Weis automatically granted default judgement? Would there be compensation for the fact that the new trial was out of the doctor’s hands and it is not their fault they had to reschedule? Nobody could have forseen the juror collapsing. I don’t think Charlie Weis’s fame is enough to sway a jury in a malpractice case. The trial has to start over with a brand new jury, as if the first (mis)trial never took place. You can be assured the doctors will show up to defend themselves at the new trial. What was the purpose of Brady testifying at all in the trial? Just to say he was worried about Weis? Could it have been for publicity? How exactly does witness selection work in these malpractice suits? Did Weis’s lawyer choose to have Brady testify and serve a purpose? He seems irrelevent to the trial, since he has no medical background and is not a family member of Weis’s. From the article, Brady merely spoke of the coach’s character…which is not really relevent, since the issue was whether the doctors were negligent or not. I don’t think there is anything wrong with Brady testifying. Although it might seem like Weiss was parading stars up to the witness stand, Brady was apparently among the few that knew about Weis’s surgery and witnessed the unnatural reactions he had to it. Thus, it seems to me like Brady did more than speak of the coach’s character. It’s not Weis’s fault that one of his closest friends happens to be one of the biggest celebrities in New England. We would be making a big deal out of this if it had been Dan Koppen or Matt Light (2 of the Patriots’ offensive linemen) testifying? Probably not – or at least not as much. Sorry – I meant to write: Would we be making a big deal out of this had it been Dan Koppen or Matt Light testifying? Why is Weis filing a malpractice suit now in 2007 when his surgery when wrong in 2002? Shouldn’t there be some sort of a time period for filing a malpractice suit? As for Brady testifying, he doesn’t have anything else or anything special to do these days, considering they lost to the Colts and all. The Weis malpractice trial that started last week was filed years ago. I don’t know exactly when, but clearly it was within the statute of limitations. If it was not, the case would have been thrown out. Two years between filing the suit and trial would not be at all unusual. Anyhow, I’m certainly pleased I discovered it and I’ll be book-marking it and checking back often! Next Next post: What Worth is Wikipedia?